EXCLUSIVE: Stana Katic has been cast opposite Pretty Little Liars star Shay Mitchell in Cadaver, the Screen Gems horror movie from Broken Road Productions. Grey Damon, Louis Herthum, Nick Thune, Max McNamara, Jacob Ming-Trent and Kirby Johnson have also joined the pic, which is being directed by Diederik Van Rooijen from Brian Sieve’s script. Cadaver centers on Megan Reed (Mitchell), an ex-cop and recovering alcoholic who takes a graveyard shift at the morgue in the hospital where she got sober and uncovers more than she bargained for. Katic will play a nurse at the hospital who is sponsor to Mitchell’s character and arranged for the new job. Sean Robins and Todd Garner are producing for Broken Road. Screen Gems’ Michael Bitar who brought in the project, and Scott Strauss will oversee for the studio. 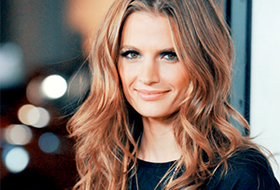 It’s the latest news in a big week for Katic, who just wrapped eight seasons playing Kate Beckett on ABC’s Castle. 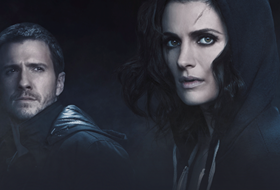 As Deadline reported Wednesday, she is in final negotiations to play the lead in Absentia, a 10-episode straight-to-series crime thriller greenlighted by Sony Pictures Television Networks’ AXN. Her most recent feature,The Rendezvous, just had a special screening at the Mill Valley Festival. She is repped by Gersh and Principal Entertainment LA. Damon (Aquarius) is repped by Paradigm and Thirdhill Entertainment. Herthum (Westworld) is repped by AKA Talent Agency. Thune (Dreamland) is repped by CAA. McNamara (Boyhood) is repped by Collier Talent Agency. Ming-Trent (A Midsummer Night’s Dream) is repped by Talent House. Newcomer Johnson is with Michael Wallach Management and Gar Lester Agency.